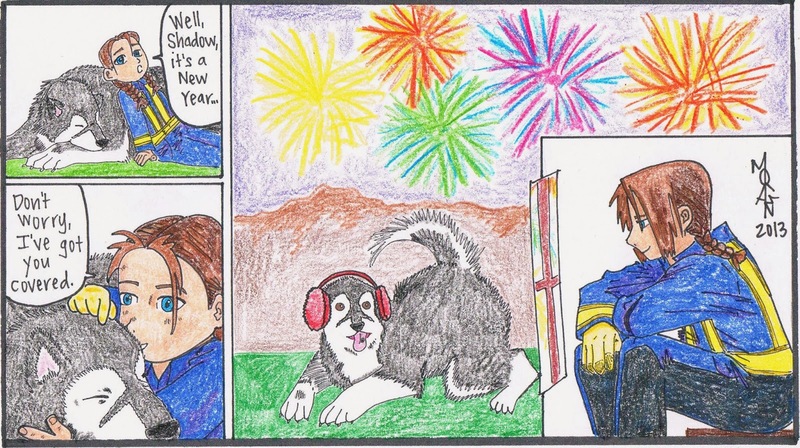 Home 2014 Alaskan Malamute dog fireworks industrial hygiene Industrious Hygienist Manga new year new year's eve pet friendly New Year party PPE prescott safety shadow Industrious Hygienist Holiday Safety Tip #1: Dogs do not mix well with fireworks. Industrious Hygienist Holiday Safety Tip #1: Dogs do not mix well with fireworks. 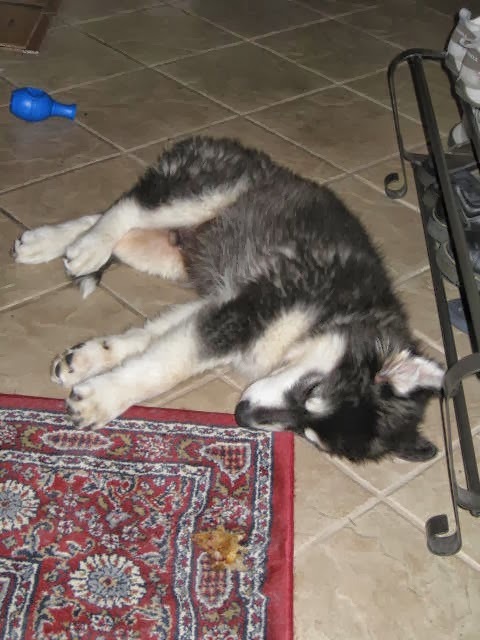 This is Shadow, my 3.5-year old Alaskan Malamute. Just kidding, this is Shadow. I just wanted to show a picture of him as a puppy. He's ginormous now. Shadow on a walk in Prescott Valley - controlled burn in the background. Shadow is not a fan of New Year's Eve. He hates fireworks. New Year's Eve and Independence Day rank as his least favorite holidays. Some tips for a pet-friendly New Year's party here. The Industrious Hygienist and Shadow enjoy New Year's Eve together. We'll be spending New Year's Eve cuddled up in bed, with Shadow alternating between spastic races around the house and cowering next to us in the bedroom. Fun times in the Bliss household! Wishing all my loyal readers a safe and fulfilling 2014.